Bey Ambition sweeps the Canadian National Futurity Colt class! We couldn't be more proud of Bey Ambition and his contribution as a sire. 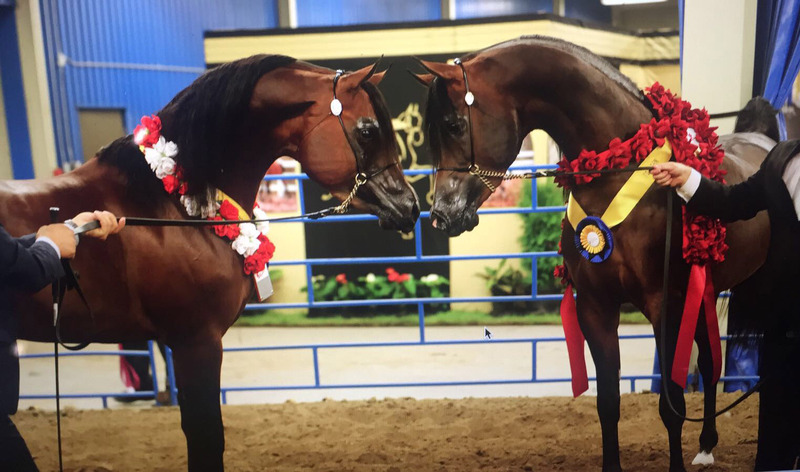 The 60th Annual Canadian National Championships have represented this magnificent sire on many levels - his prowess as a breeding sire is astonishing as both the National Champion and the Reserve National Champion Futurity Colts are both sired by Bey Ambition. 2017 Canadian National Champion Futurity Colt BIG AMBITION TRJ (out of TR Concerto, by Odyssey SC) - bred by Ross & Terri Danielson, and owned by Terra Sano Ventures LLC - shown by Jeff Schall. 2017 Canadian Reserve National Champion Futurity Colt RD TRIVAGO (out of Seraphina FM, by Da Vinci FM) - bred and owned by Rae-Dawn Arabians and shown by Bruno Guiraldelli.